In 1993, Peter Mansbridge had CBC viewers glued to their chairs, ears directed toward the speakers, and eyes bug-eyed towards their screens when he announced “There is a revolution going on in rec rooms, offices, and classrooms around the world. A revolution in which fifteen million people are taking part … night and day through a computer phenomenon called internet” on his evening news broadcast. Today, twenty-six years later, the internet has become so much more than a place for “sharing scientific data, arguing philosophy, or passing on cooking tips and gossip”. Today, digital technology is an incredibly powerful tool and has drastic implications on how we live our everyday lives. This week’s EDTC 400 lecture provided a brief history regarding the evolution of modern-day internet. Class discussion encouraged critical thought regarding all of the advancements and possibilities that technology makes attainable and, on the opposite end of the spectrum, the conflicts that arise as a result of technology. Being born in 1999, I myself never lived without the internet but I have experienced some of the major advancements that have occurred over the years. Yes, we really did use paper maps and compasses when planning road trips rather than GPS’s built into handheld devices, and yes we knocked on our friends’ doors to let them know we were at their houses rather than sending text messages saying “here”. In 2005, the first YouTube video was shared and in 2008, Michael Welsch reported that there are over nine-thousand hours of YouTube videos being uploaded every day but the real story isn’t in the numbers. Today, YouTube has allowed for new forms of identity, community, and expression to emerge and YouTube is just one example of digital technology that has allowed people to connect across the world, stay up to date with people living both near and far, and share our lives with others. Unfortunately, the advancements of technology are sometimes overlooked and we fail to recognize the harm and conflict that is also a result. One of the critical enticements of digital technology is that it allows individuals to control the way they are perceived by others. Yes, we have the power to filter our posts, click the back button, block unwanted viewers and delete comments all instantaneously but does this really mean we are in control? Unfortunately, users often become so consumed with trends of social media platforms that we are blinded to the power of the company and our loss of personal control. For example, Instagram has the authority to withhold an individual’s ‘likes’ to their posts in hopes of motivating their users to be continually checking their accounts and using their platform. Chamath Palihapitiya owned up to this global problem of online ecosystems when he said “The short-term, dopamine-driven feedback loops we’ve created are destroying how society works” in an interview referring to the impacts that receiving ‘likes’ on a post has for an individual. Similarly to Instagram, Snapchat created the concept of ‘snap streaks’ to ensure that their users are frequently using the platform throughout the day to save their streaks with their Snapchat friends. Another example is the algorithms that Facebook has developed to decide what shows up on its users’ timelines. If Facebook decides it doesn’t want your friends to see your recent posts it can withhold them which simultaneously takes the control away from its users. Regrettably, the manipulative behaviors of these companies are often overlooked because we become so invested with the platform and thus, are unaware of how we are being controlled. Another appeal of digital technology is the idea that it brings equality to all users as anyone with access to devices is free to share and develop their digital voice. Unfortunately, money talks even in the virtual world and net neutrality does not exist. Sites such as Netflix or Facebook are able to become more discoverable through web browsers by paying money to internet providers to ensure that people can arrive at their sites efficiently. Unfortunately, this means that personal bloggers will be less accessible and thus not everyone on the internet as an equal voice following in the footsteps of real-world society. The convenience of digital technology and in particular smartphones are probably the biggest attraction of them all but smartphones have not only changed how we do daily tasks, but they have also changed us. An article by Eric Andrew shares how smartphones are causing real damage to our minds and relationships. Initially, this comment appeared exaggerated but considering basic examples of everyday life tasks helped surface the truth in the statement. For example, our abilities to remember, write, and focus have all negatively declined. Due to the efficiency of being able to twiddle our thumbs and find information regarding any topic online or being able to scroll through our text messages or reminders, we are no longer required to remember things because we have devices that keep track of them for us. Typing skills have replaced our abilities to handwrite which may not be a m ajor issue however when children receive a card from their grandma and are unable to decipher the writing I believe it becomes a concern. Lastly, cell phones have proven to be major distractions when driving, at work, or sitting in class and because they encourage the art of multitasking, thus, it is becoming more difficult for individuals to focus on a single task. Digital technology continues to amaze me as the opportunities it makes possible appear to be endless. It is important that as a user of social platforms, I remain aware that all of the attractions also have problematic implications. It is crucial that citizens remember there is life outside of the digital world and that true social connections happen face to face with no screens involved. In Sherry Turkle’s inspiring Tedtalk, she emphasizes how we use conversations with each other to learn how to have conversations with ourselves which is essential for our mental health. As a future educator, this week’s discussions encouraged me to critically think about how technology should be integrated into the classroom effectively. Two models were brought to my attention including the TPACK model and the SAMR model. 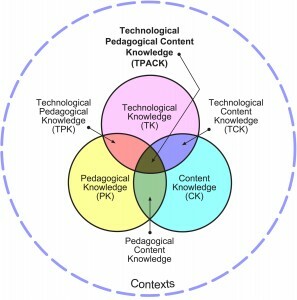 The TPACK model is designed to remind teachers who are bringing technology into their classroom that content (what you teach) and pedagogy (how you teach) must remain the basis to enhance learning in the classroom. Teachers are encouraged to include the best technologies that will support their students as they learn the required content in their classrooms and that support their pedagogical approaches for any given lesson. The SAMR model is another helpful source to guides teachers when integrating technology into the classroom. It insists on the idea that technology can either enhance or transform classroom activities and depending on the particular lesson one run of the staircase may be a more suitable choice than the others. I believe that it is important to acknowledge that despite the staircase formation fo the model that makes redefinition appear to be held at the highest value, all four stages of the model can positively influence a classroom if implemented at the correct time. We have come a long way since the phenomenon of the internet was first announced in 1993. The power of technology is incredible but it also requires that users remember power offers both advantages and disadvantages simultaneously. We have all experienced digital technology both benefit our lives and add new challenges. I am grateful for the various means of technology available to me but it is important that I remain cautious about what the attractions of technology actually make possible. I believe that as an educator in the 21st century, it is crucial that I insist on allowing technology to have a role in my classrooms in order to provide my students with opportunities to learn about digital citizenship and how to use technology appropriately. Hi Kendall! I relate with you very closely with this blog post, as I am was also born in 1999 and never really knew life without technology! With that being said, I am able to look back and see how technology has changed over my life time, many changes for good and others not so good. I find that we often aren’t able to see the negative aspects of technological advancements until they have already caused a significant amount of damage. This is where I find it difficult for teachers. Technology is constantly changing and let’s face it, keeping up with these changes can be a full time job! I think you are correct in saying that as educators we need to welcome technology in our classrooms, but we also must be aware of the dangers it possess! Thanks, for your reply Lauren! I do agree that we are often blind to the negative aspects of technological advancements in our lives until it to lates. Some things such as Instagram withholding likes from its users were only brought to my attention in lecture. I think it is important for educators to discuss how they are using technology in their classrooms with other educators and hopefully, by bouncing ideas off of one each other, we can become aware of the dangers more promptly. Hi Kendall! Great post! I can see that you were able to tie in the concepts we learned about in class to your blog post. Like you discussed, and Lauren mentioned above, technology is constantly changing. However, it is our responsibility as educators to ensure students are taught what it means to be a digital citizen, construct a digital identity, and how to use technology effectively in a positive manner. This way, by educating students about the online world, you are enabling them to think critically about their choices and what is shared online. Thanks for your response Kaytlyn! I would agree that enabling our students to think critically along the lines of every subject including digital technology is a key role of educators, and I think the opportunity to reflect on these ideas in this course is preparing us well for the challenges that lie ahead of us! Nice job with the post, going in depth to provide insight to the situation at hand. Like Lauren, I relate to your post because being born in 1999, we grew up alongside technology. We’ve had it our whole lives (but not as much as children being born today). 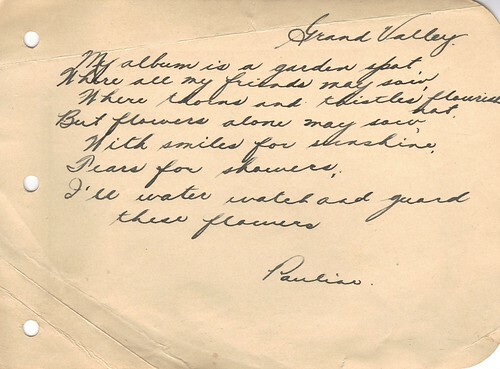 I liked how you brought up the concern about handwriting becoming a lost art form. I was taught to handwrite but my brother who is just three years younger, has no idea how to write it. He had to specifically ask my parents how he should handwrite to create his signature. I do believe technology is great in the classroom but we have to be cautious of it. Thanks for your response Jayden! I like that you were able to make connections to my post and look forward to continuing our learning journeys towards becoming educators alongside one another.